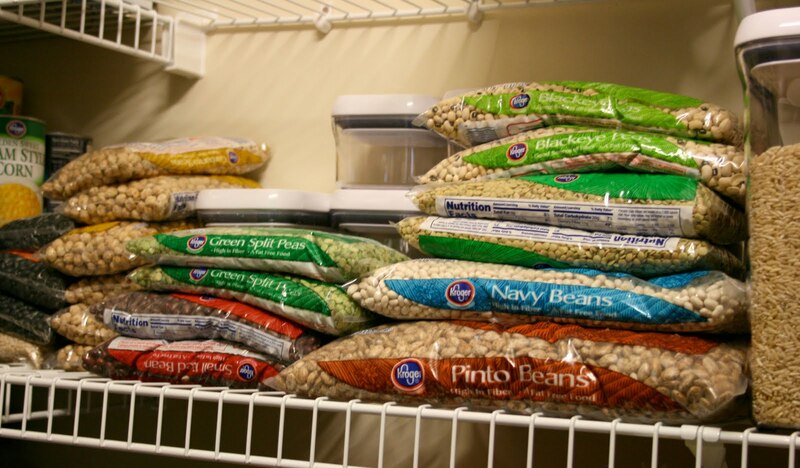 So, everyone will be glad to know that the pantry is now stocked. I almost had a heart attack when I heard the final number, but we are ok if the zombie apocalypse hits! The kids were out of school yesterday (the start of Spring Break), so the big trip took place with the whole family. It was not as painful as it could have been! Thank you children. So, in case you haven't noticed, the illustrator is a stocked pantry kinda guy, while I am a planner. I like have things in the pantry so I can whip up different meals, but I also like to have a plan. We went the stocked pantry route on this trip. You see, we let our supply get really low because we did a huge trip right before summer last year and had to use up everything that was purchased. Not too bad, we were pretty well stocked for about a year. So, hopefully this will last us about that long too. We still go to the store for the usual fresh stuff (for my massive daily salads and fruit bowls), but other than the regular things that need to be bought fresh, this should keep us stocked for quite a while. After the trip and all of the organizing and unloading, we were all pretty hungry. I sat down to a massive bowl of fruit and was still hungry after that. I really let myself get too hungry, so I did not know what I wanted. I was really craving something bready (I do that sometimes), but I knew I needed something high in protein. I have really noticed some muscle changes lately (in a good way) from the different weight training I have been doing, so I know the protein is very needed! That reminds me...I have been doing a little more yoga and a workout called Core Exhale Fusion for body sculpting...oh my gosh! It is amazing when you change things up and use your muscles in different ways, you really work muscles you did not know needed to be worked or that you even had those muscles! Anyway, food...so, bready and high protein, can you guess what I did? Yep, pancakes! I have become so addicted to these things! They are so quick, easy and good for you! I always thought of pancakes on a more difficult or healthy level, but they really can be good for you and simple. I told the illustrator that it is weird, if I would have eaten the same amount of pancake out in a restaurant, I would have felt bloated and gross. 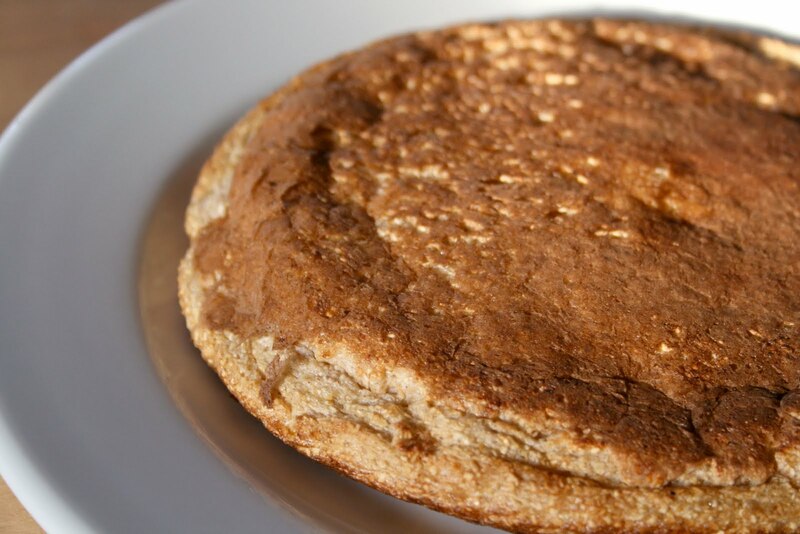 After eating these Oat Bran Egg White Pancakes topped with Apple Peanut Butter Compote on top, I felt so good and energetic. Which was surprising after the marathon shopping trip that just happened! These are really quick to make and the whipped egg whites really make them BIG and fluffy! Whip your egg whites to a foamy stage just before they reach soft peaks. It only takes about 1 minute. In another bowl, mix together the oat bran, baking powder, cinnamon and NuNaturlas Stevia Baking Blend. Next, fold the dry ingredients into the egg whites. Cook in a heated nonstick skillet coated with cooking spray. Peal, core and dice a small apple. Microwave for 2 minutes. Mash up the apples a little bit. Next, add 1 TBSP natural peanut butter and 5 drops of NuNaturals vanilla stevia (or a little maple syrup). Microwave for 1 more minute. Stir together and then pour on top of the pancakes. A note on the oatmeal versus oat bran. 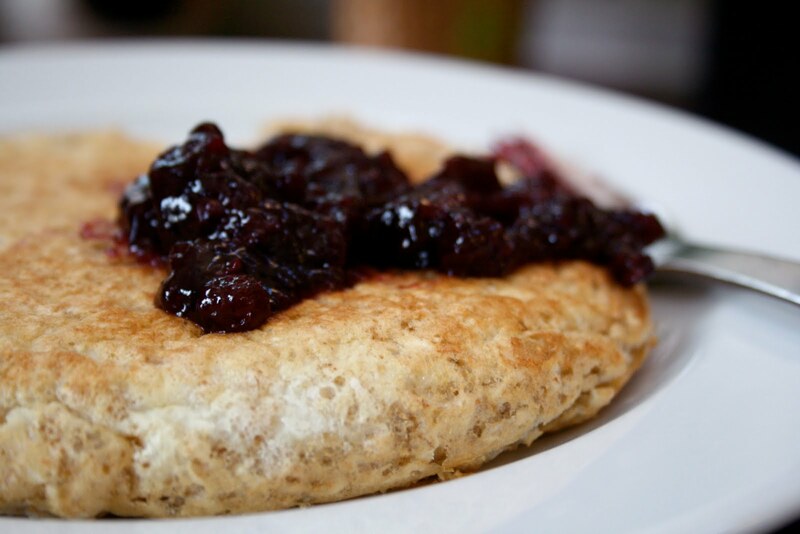 I used oatmeal the night before (I know, yes, the night before) in a pancake topped with some Crofter's. It was really good, but I actually preferred the oat bran. 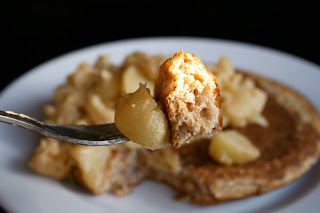 The pancakes sound awesome but I'm really lusting over that apple peanut butter compote! Can you believe I've had those NuNaturals stevia drops for a month now and haven't used them?? That topping sounds fantastic!!! So do the pancakes..mmm! those look amazing and have a great easter with the fam! Wow those look awesome, yum! 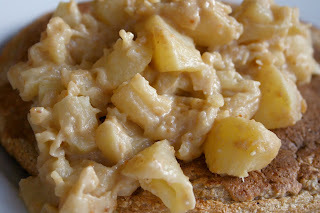 I love microwaved apples and PB together too, such a great combo. I loooove pancakes and that compote looks fabulous. These look seriously amazing. Must try!! Know they're bound to be great - they use the whipped egg white method! Steph...I would LOVE that story! I would hope I know someone that would illustrate it for me! How large a pancake does this make? And If I don't have any liquid egg whites at hand, how many eggs do you think it would take to get 1/2 cup worth whites? Nicolette, it's about an 8 inch round pancake. 2 eggs would equal 1/2 cup egg whites. I hope you like it as much I did! Let me know if you have any other questions.